WAYout is delighted to be funded for the second time by the Prince Claus Fund as part of their project ‘Next Generation’. Four of our artists, Susan Kargbo, Nathaniel Sesay, Ibrahim Bangura and Fallah Koroma will be supported for nine months to create music, films and poetry as part of UNSEEN, UNHEARD. Fallah Koroma aka Fal G is a street rapper and member of the Black Street Family and he is working with street groups 5 School and King Jimmys producing tracks. 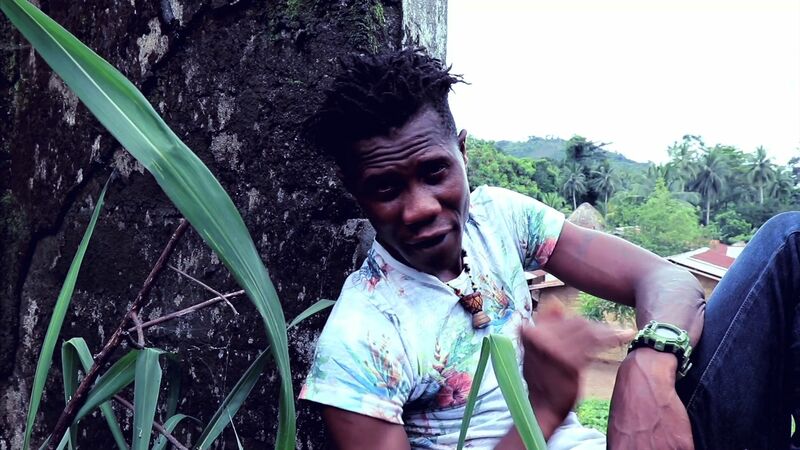 Fal will also visit his home territory of Kono, where he was a child soldier, and write about his experiences there. 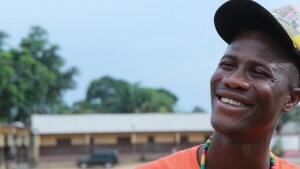 Ibrahim Bangura, aka Cleffy, is writing a series of poems about where he grew up in the provinces. The struggle of subsistence farming, the characters of his childhood and the places he remembers all combine in some remarkable poetry. 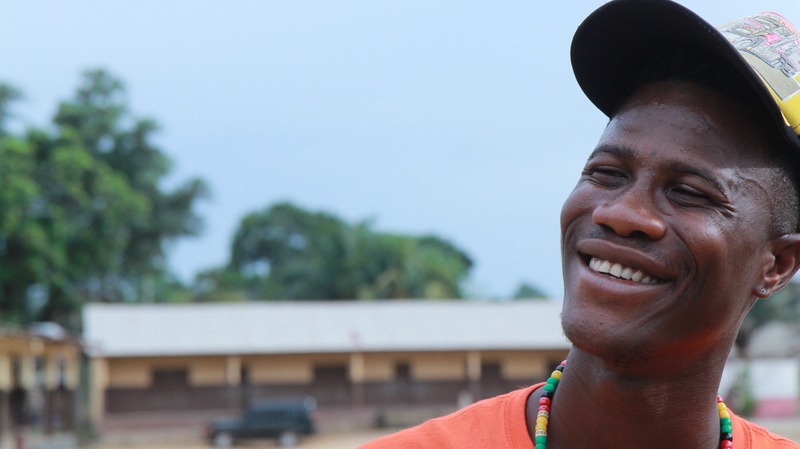 In 2011 Cleffy moved to Freetown to escape rural poverty and survived on the streets for several years. Cleffy’s writing reflects his deep affection and respect for the oral story telling traditions of his village overlaid with the rhymes and rhythms of urban street youth culture. In 2017 he was shortlisted for a Commonwealth Writers Adda prize and in 2018 he has had poems published in Write the City and Praxis. Susan Kargbo is a filmmaker. She took part in the first Prince Claus funded project and made a film about FGM. Now she is making a documentary about domestic abuse in the provinces where the law protects women but tradition does not. 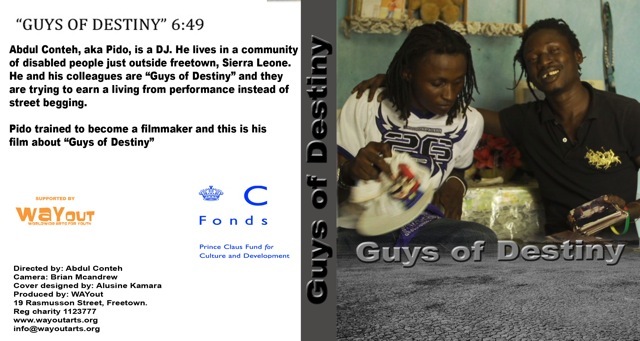 The first Prince Claus funded project “Who Makes My Image” produced a series of films and music exploring identity. “After the Jungle” is the powerful and moving story of Nathaniel Sesay, aka Mash P, who was a child soldier for five years in Sierra Leone’s brutal conflict. 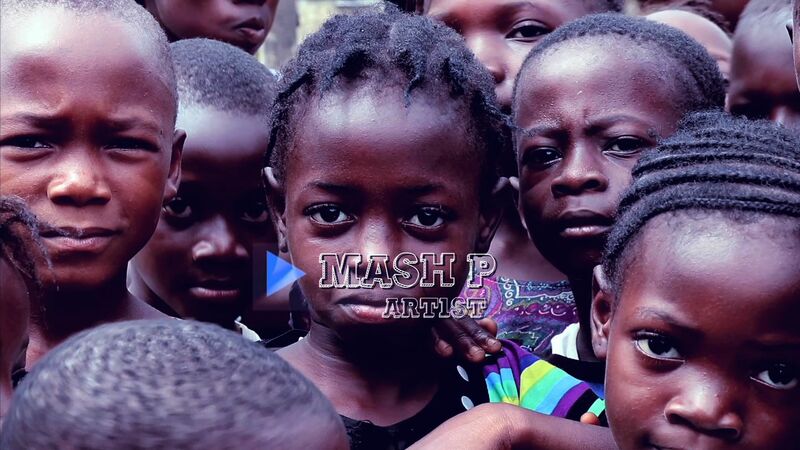 Mash P returns to meet some of those from his past in order to make sense of his present. Mash P is a musician and WAYout member. “Spirit” a film by George Wyndham who it is also about. George survived polio and the war and, against all odds, went on to become an international medal winner. He is heading for the 2016 paralympics. 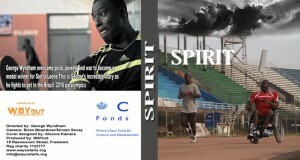 This documentary tells his story- from poverty to victory. “FGM in Sierra Leone” was made by three female filmmakers and is about the practice of Female Genital Mutilation, which is very common in Sierra Leone. But the film is different in that it realises, to stop the practice, it has to be approached from a Human Rights point of view. “Guys of Destiny” was made by Abdul Conteh aka Pido. Pido is a polio survivor who lives in a community of other disabled people. 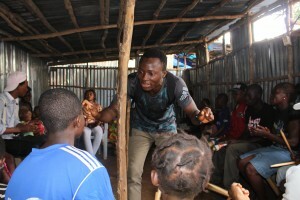 He is one of a band who dance and perform and aim to present positive images of disability in a culture where most would have to do street begging to survive. 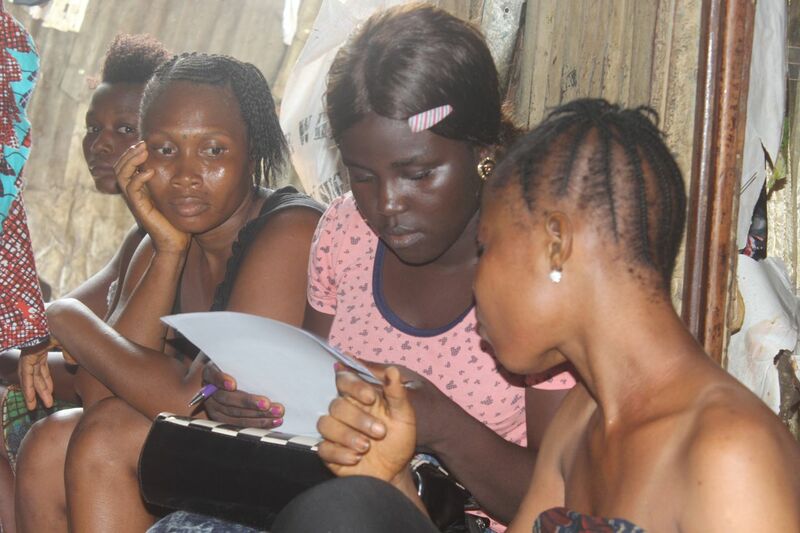 As part of the project filmmakers received training and access to facilities and continue to receive WAYout support.